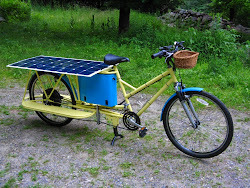 My Solar Electric Cargo Bike: Maybe sports cycling isn't all there is? Continuing the thread I started in the Helmets and Safety post that perhaps there is more to bicycling than sports, here is a very nice short video about New York City cycling I'd like to mention. 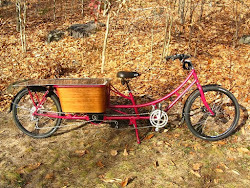 Imagine bicycling in a place where we know they drive worse than in Vermont. Clarence Eckerson Jr. at Streetfilms put together a montage of the change in NYC infrastructure over the last several years. And this film doesn't even mention the High Line because it is pedestrian, or Citybike. Impressive. NYC Streets Metamorphosis from Streetfilms on Vimeo.